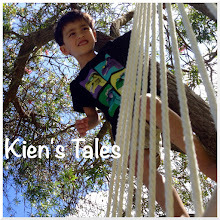 Kien had one adventure packed day today. 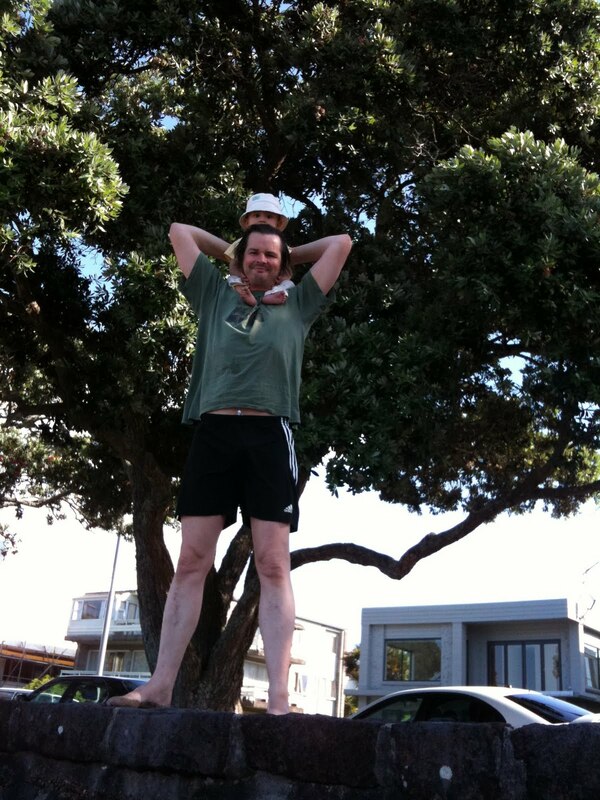 This morning while I was trying to get a bit more sleep the boys went to Sentinel beach. Apparently Kien enjoyed himself immensely; giving doggy treats to some lady's nice dog that he patted, and dipping his feet in the water. After breakfast I took Kien to the park where he got to pat another friendly dog. He giggled while I pushed him on the swing, and I put him down the slide a few times. He can now go down the small slide just by me holding his hands. He will soon be able to go down all on his own. 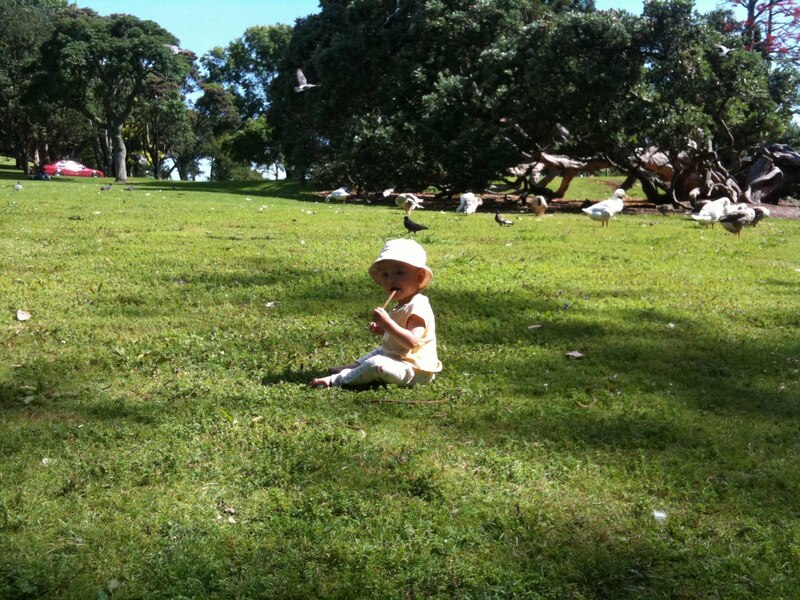 After lunch and a very long nap we went to the supermarket, and then we took him to the Domain to see the geese and ducks. He was very interested in eating sticks he found on the ground. 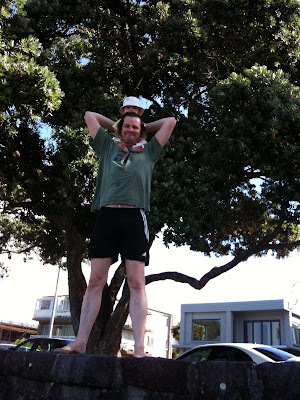 We then went to Kohimarama beach, and Jef took him for a splash. Merry xmas, happy birthday, and happy new year!